Benfica is in a league of their own when it comes to goals scored, having scored 77 goals in 28 games. This gives them an average of 2.75 goals per game. 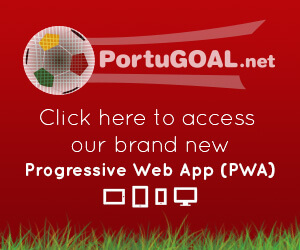 The goal-scoring charts follow the current league table and it’s Porto who is currently 2nd, with 58 goals scored. Sporting is in 3rd, averaging 2.00 goals per game in Liga NOS. 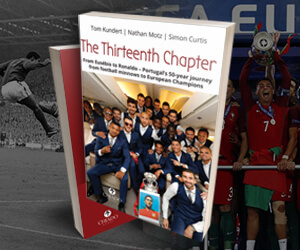 The majority of goals for Benfica have been scored at home, with the side scoring 3.38 goals per game. They have scored 2 or more goals on 9 occasions, including a run of 7 home games where they scored 33 goals. You might remember them hitting 10 past Nacional back in February. Incidentally, Nacional has lost the last 7 away games on the bounce, conceding 30 goals in the process. The side with the fewest number of goals scored in Liga NOS this season is bottom of the league Feirense. They have scored 17 in 28 games, equating to 0.61 goals per game. Portimonense fans might look towards improving their defence in the summer, as they have scored more goals than 13 other teams yet find themselves 10th in the league. This brings us to our next section, goals conceded. Great teams are built on great defences. Think about it, if you can keep a clean sheet, you only need to score one. Unfortunately for a number of teams in Liga NOS, defending is not their strongest trait. The side with the worst defence this season is Nacional da Madeira. As we mentioned before, they have been on the end of some embarrassing results this season. However, their problems are mainly when playing on the road. At home they have conceded a respectable 17 goals in 15 games. Away from home, however, you might think it’s a completely different team. 41 goals in 13 games. Whilst Benfica might have the best attack in the league, it’s Porto that’s been impressing us at the other end. They have conceded 0.61 goals per game, an average from shipping just 17 goals from 28 games this season. I feel that Vitoria Guimaraes deserves a mention. They have the best home defensive record, conceding 7 goals in 14 games. Scoring might be where they look to improve next season, as they have scored 2 or more goals in just 5 of their 13 home games and have averaged just 1.25 goals per game overall this season. This was boosted by their latest 4-0 victory over Chaves. Still, remarkable defensive record. They are a very solid outfit. Looking at the form guide for Liga NOS, we can see that across the last 10 games that no team has conceded fewer than Benfica. They have conceded just 5 goals. Santa Clara has also improved, conceding 6 goals in the last 10 games. 6 seems to be the magic number, with Vitória Guimarães, Vitória Setúbal and Sporting also conceding just half a dozen goals. The sides with the most virtual points across the last 10 games in all competitions are the traditional Big Three. Benfica and Porto have identical records: W7, D1, L2, while it is Sporting who has the best record with one defeat fewer at W7, D2, L1. They'll be delighted with this form at this late stage of the season. The only defeat during the last 10 games for Porto in the Liga NOS was at the hands of Benfica, who will be 6 games away from the title should they keep up their winning streak. Spare a thought for Feirense, who has not won a single game during this period. Nacional will be hopeful of turning their form around also, with 0.80 points per game from their last 10 fixtures. If they continue this form, they will end the season with 31.8 points. We can’t have decimals in Liga NOS, so we’ll round it up. 32 points was enough to avoid relegation last season as Paços de Ferreira and Estoril Praia were both relegated with 30 points. This season has seen 2.53 goals scored per game, across all 18 teams. Last season the fans were treated to more goals, with 2.70 being scored per game. There’s still time for this average to improve, and let’s hope it does! Who do you think will win the title, and who will occupy that final relegation spot? Let us know! 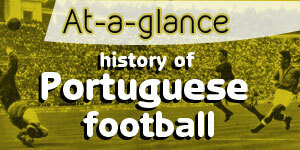 If you have enjoyed this article, you can find more stats, fixtures and predictions on Portuguese football at FootyStats.